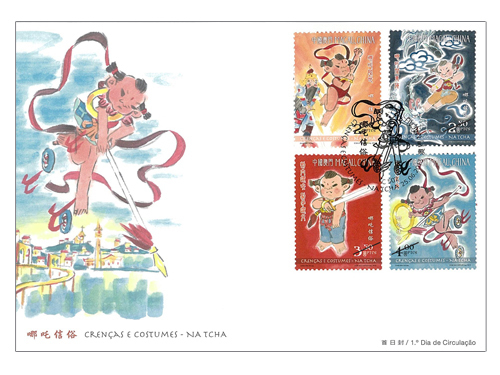 The belief of Na Tcha in Macao has a history spanning more than 300 years, having developed unique characteristics, based on the fusion of folk stories with local customs and cultures. 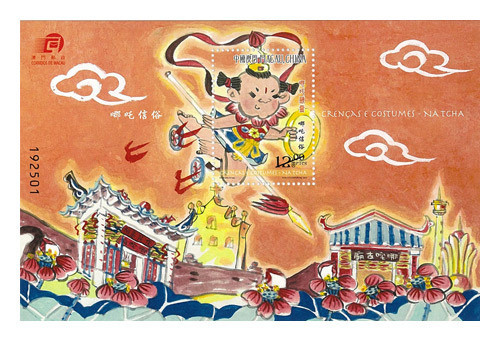 To ensure the preservation of this folk belief and associated rituals, and its transmission to future generations, the Macao Special Administrative Region Government inscribed “Na Tcha Beliefs and Customs” on the List of Macao SAR Intangible Cultural Heritage in 2012. 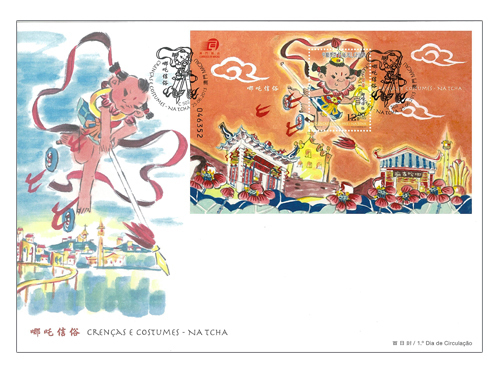 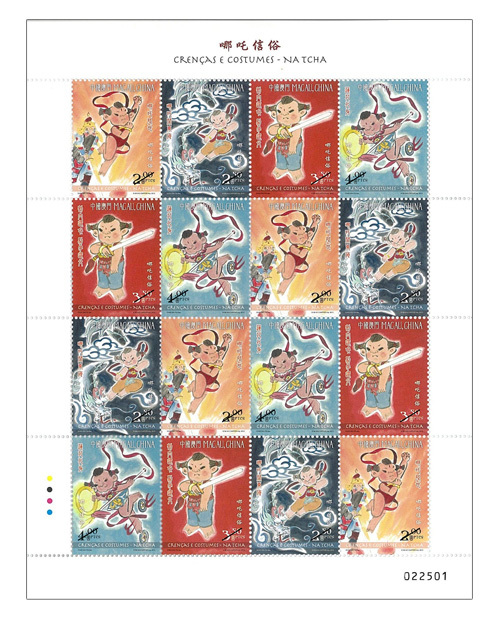 To highlight the unique culture of Macao and contribute to its conservation, Macao Post will issue the stamp theme “Beliefs and Customs – Na Tcha” on 25th June, 2013 (it is the Feast of Na Tcha on the 18th day of the 5th lunar month). 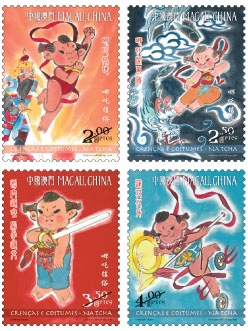 This issue includes a set of four stamps and one souvenir sheet, the stamp theme was selected on the plot of the classical Chinese novel “Fengshen Bang”, which includes: “Birth of Na Tcha”; “Fighting in the Eastern Sea”, “Body Shredded”, “Revival with Lotus” and “Emergence of Na Tcha”. 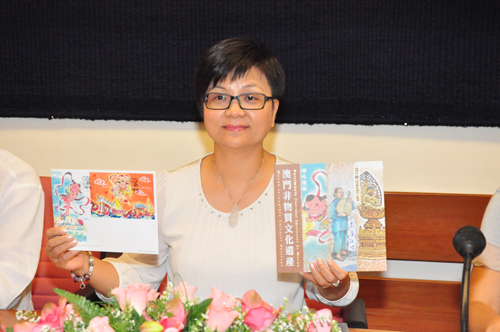 The stamp designer of this issue is Mr. Chan Wai Fai, and the text of the information brochure is written by Cultural Affairs Bureau of the Macao Special Administrative Region Government. 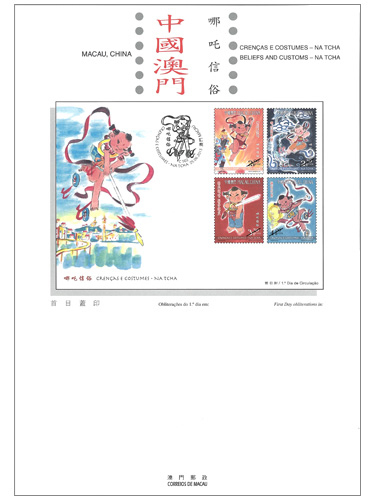 This is the eighth issue in 2013. 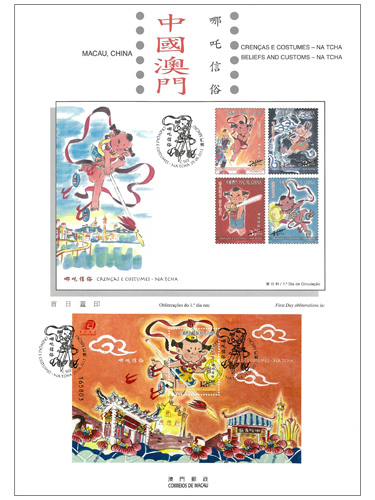 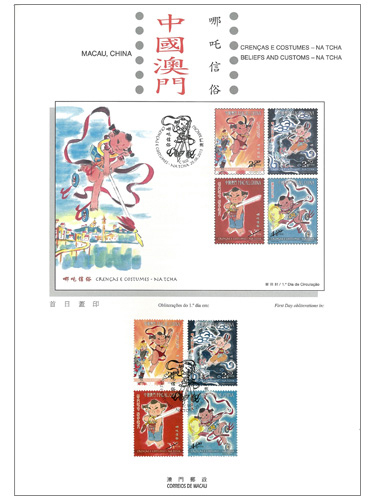 The previous issued stamps are “Lunar Year of the Snake” on 03/01/2013, “Centenary of the Macao Chamber of Commerce” on 23/01/2013, “Mainland Scenery V” on 01/03/2013, “20th Anniversary of the Promulgation of the Basic Law of Macao” on 31/03/2013, “130th Anniversary of the Establishment of the Fire Brigade” on 25/04/2013, the label stamp “Lunar Year of the Snake” on 30/04/2013, and “Museums and their Collections III – Macao Museum” on 10/05/2013.